Our next “Meet My Religious Neighbor” open house is on Sunday, October 8th from 10am – 12pm. 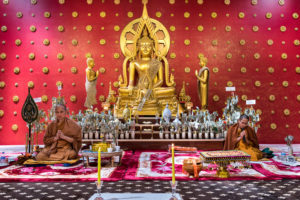 It will be held at one of the Lao Buddhist temples in Des Moines, Wat Phothisomphan, which is located at 2560 SE 14th Street. The service will include Tak Bat, the offering of food to the monks at the temple, as well as chanting meditation, a dharma talk (“sermon”), and lunch. Thursday, October 5, 7:00 p.m. Miracle stories in the Quran interrupt our familiarity with the world. In fact, the Quran (not unlike other scriptures) shocks us with stories like that of virgin birth, instant healing with touch, fire not burning and a staff becoming a serpent. Why? This talk will suggest that these miracle stories in the Quran are in fact transformative invitations to wonder & gratitude. In making this point, the talk will make use of two insightful Islamic theologians, Ghazali (11th century) and Nursi (20th century), with a focus on their approach to the Quran, natural order, and human life. Professor Yazicioglu’s research is on interpretation of the Quran in the contemporary age, Islamic theology and spirituality, with a focus on the works of a significant Muslim theologian, Said Nursi. Her book Understanding Quranic Miracle Stories in the Modern Age (Penn State University Press, 2013) brings Muslim thinkers into conversation with Western thinkers. She is also a team member of an Islamic spirituality non-profit, Receiving Nur. 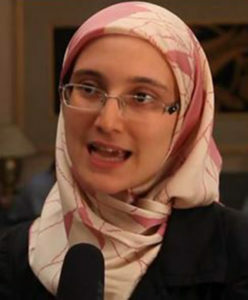 Yazicioglu holds an MA in Islam & Christian-Muslim Relations from Hartford Seminary and a PhD in Religious Studies from University of Virginia. Thursday, September 14, 7:00 p.m. Miracle stories are a phenomenon shared by all major religious traditions. What is a rational person to think in the face of this phenomenon? In this lecture, Professor Zwier will survey some of the ways in which philosophers have analyzed the concept of miracles and grappled with the question of the proper epistemic stance toward miracle reports. Professor Zwier’s research deals with philosophical and scientific methodology as well as metaphysics of science. She concerns herself with questions about how—and if—metaphysical claims are engaged by empirical scientific methods. 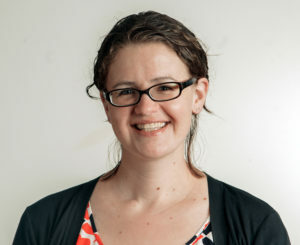 Her areas of specialty include philosophy of causation, history and philosophy of physics, and science and religion.